Yet another depressing month for new vehicle sales in Argentina, down a horrible 42% year-on-year in October to 47,608 registrations, which brings the year-to-date total to 605,168 units, down 27% on 2013. Volkswagen lodges an exceptional month at 21.8% share thanks to sales down ‘just’ 25% and compared to the 15.9% it commands YTD. Ford remains in 2nd place at 13.6%, ahead of Toyota up 3 spots to #3 and 12.5%, Peugeot at 11.9% and Chevrolet down 67% to 10.1%. 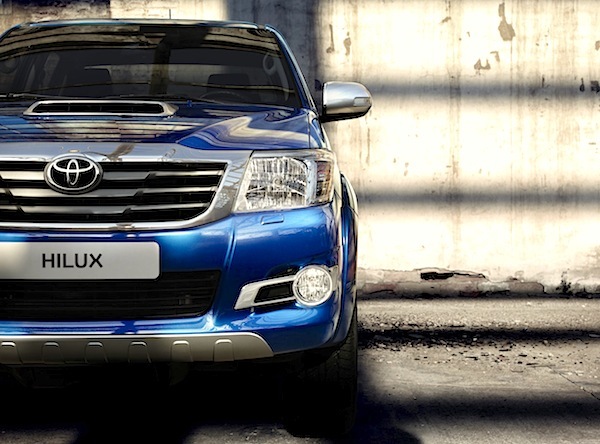 For the first time ever, the Toyota Hilux is the best-selling vehicle in the country thanks to 2,652 sales and a massive 5.6% market share vs. 3.9% YTD. The VW Gol Trend is also well above its YTD level at 5.4% vs. 4.1% and cements its pole position in 2014 so far while the VW Suran brilliantly holds itself within the podium for the 2nd consecutive month whereas it only ranks 10th YTD. Other great performers in Argentina this month include the Peugeot 208 at #4 vs. #8 YTD, the Toyota Corolla at #7 vs. #17, VW Up up a further 5 ranks to #16 vs. #44 YTD and the Honda City at #27 vs. #51. Full October 2014 Top 35 brands and Top 195 models Ranking Tables below.